Even though tea has been enjoyed for about 5000 years since its serendipitous discovery by Chinese Emperor and divine healer Shen-Nung in 2737 BC, the white variety did not come into existence until much later. It has only about 200 years of history and is the youngest among the major tea types – green, oolong and black tea. According to folk history, the tea bush for making the white brew was discovered by a girl named Lan Gu from Fuding county of Fujian Province in China, where the beautiful Taimu Mountain is located. While taking refuge in a cave in the mountain, Lan Gu found a special tea tree whose young buds were covered by silvery hair during spring. When wide-spread disease was hurting the villagers, Lan Gu used the leaves from this special tree to help cure them. For her kindness and courage, people honored her with the name of Mother Taimu and named the mountain Taimu Mountain. This legend parallels historical accounts that indicate the brew was first produced in Fuding in 1796 and later spread to two other counties (Zhenhe and Jianyang) in Fujian. There are three varieties of tea trees that are used in the processing of white brews - Big White, Narcissus White and Vegetable White, with Big White considered the finest and most popular. In addition, the tea is differentiated based on plucking method -- Silver Needle (only one bud is plucked), White Peony (one bud together with one leaf down) and Longevity Eyebrow (one bud with two to three leaves down). Silver Needle, also known by its original Chinese name Bai Hao Yin Zhen, is the most precious and exotic. As the least processed among all types, white-tea leaves are only withered and dried. This light oxidation process preserves natural compounds that potentially deliver the most health benefits of any variety. In addition, Pace University researchers presented findings that linked the tea's extract to prophylactic applications that retard the growth of bacteria that cause staphylococcus infections, streptococcus infections, pneumonia and dental cavities. They also found the anti-viral and anti-bacterial effect might be greater than that of green tea. The rareness of the tea bushes and short harvest time (e.g. high grade Silver Needle is only made from the youngest buds plucked during two days in Spring) cause the price of the tea to be higher than other varieties. This article was written by Jay Wang, owner of Taimu Tea, a premium Chinese tea store. 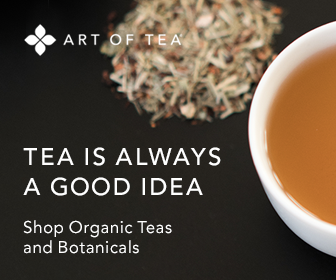 Enjoy award-winning, handcrafted teas and herbal blends from specialty tea purveyor Art of Tea. Click on the tea links below to go to the Art of Tea website and shop for delicious teas. At Learn-About-Tea.com, our goal is to enhance your tea experience by bringing together a wealth of tea information and a place to buy exceptional tea online. To provide quality teas, herbals and tisanes, we evaluated an extensive number of on-line tea purveyors. As a result, we are pleased to offer you the fine handcrafted and organic teas from Art of Tea, of which Learn-About-Tea.com. So shop for these unique and delightful teas by clicking on the tea links above. Your purchase will be made through the Art of Tea website. Disclosure: Art of Tea is a separate entity from Learn-About-Tea.com. All products, services, claims, and transactions provided by Art of Tea are fully the responsibility of Art of Tea. Learn-About-Tea.com is not liable in any way. As an affiliate of Art of Tea, Learn-About-Tea.com is paid a commission for purchases made through the above links that help fund publishing this website. Content and images are copyrighted and may NOT be reproduced. Site is for informational purposes and not for medical/health advice, diagnosis or treatment. The site publisher/owner is not liable for your use of site information. Always consult a doctor to ensure consuming tea and related products will not adversely affect your health or medication.